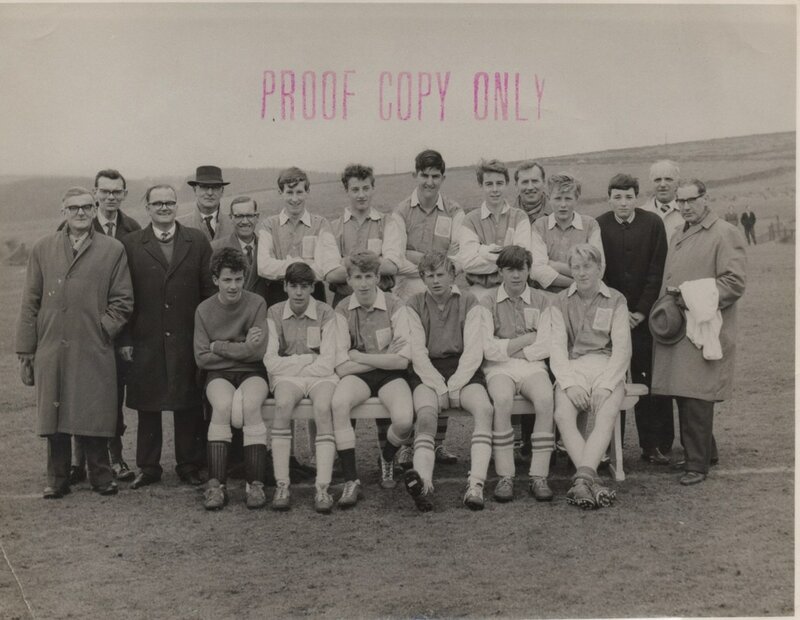 The Princetown United Football Club terminated the season, in which they won the championship of the West Devon League and the Start Cup, by playing a friendly match with the representatives of the West Devon League. 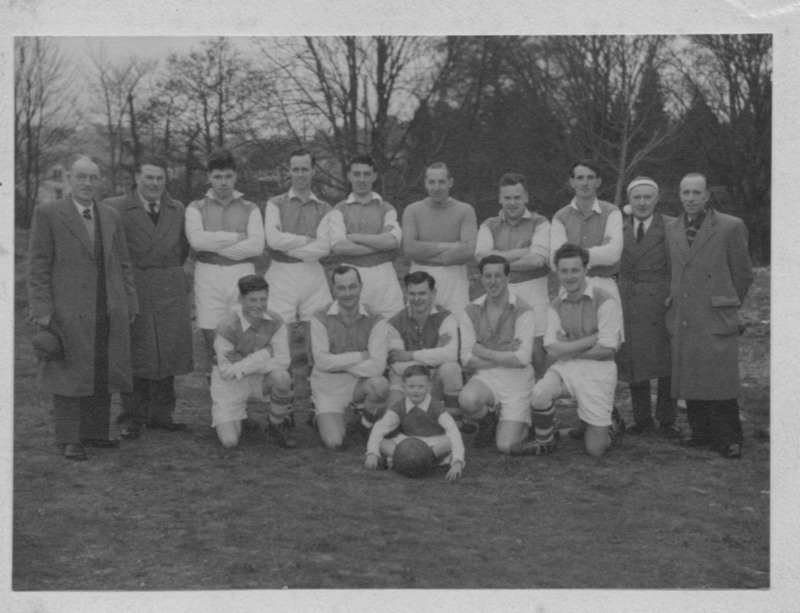 After the match, which was a drawn game, the United entertained the visitors to tea, among them was Mr. Redstone (chairman of the West Devon League). 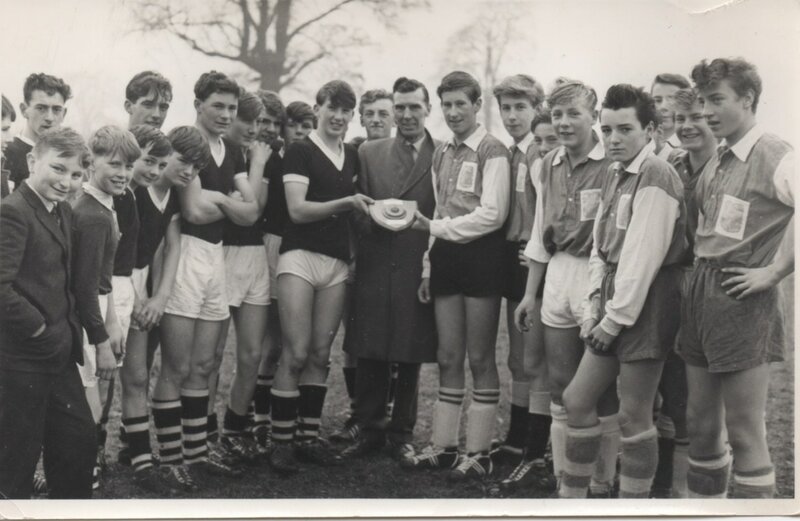 Mr. Redstone took the opportunity of presenting the United with the shield, and complimented the team on their splendid record. 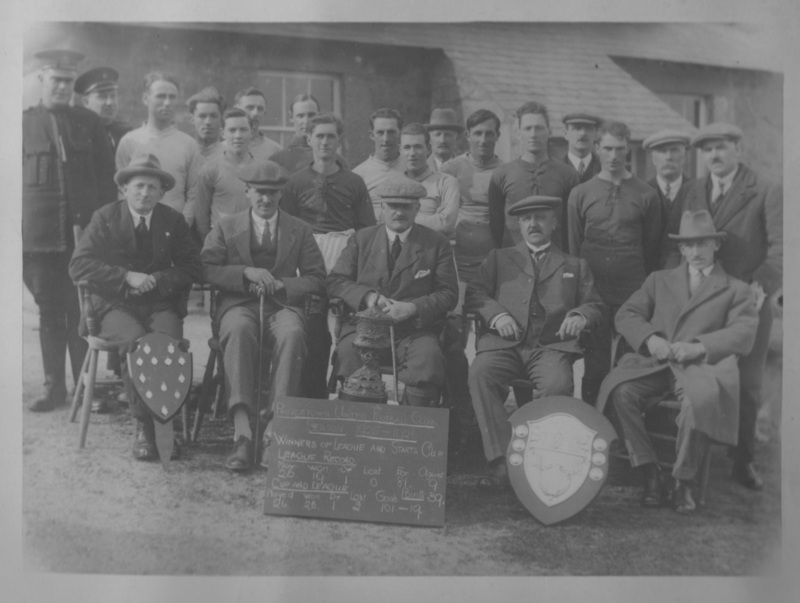 The occasion was followed by an excellent concert in the recreation-room, specially arranged for the presentation of the medals to the players. - In presenting the medals, Major Morris (deputy governor) said he considered it a great honour to officiate on such an auspicious occasion, and felt certain he was expressing the sentiments of all present when he said how proud they felt of their team. 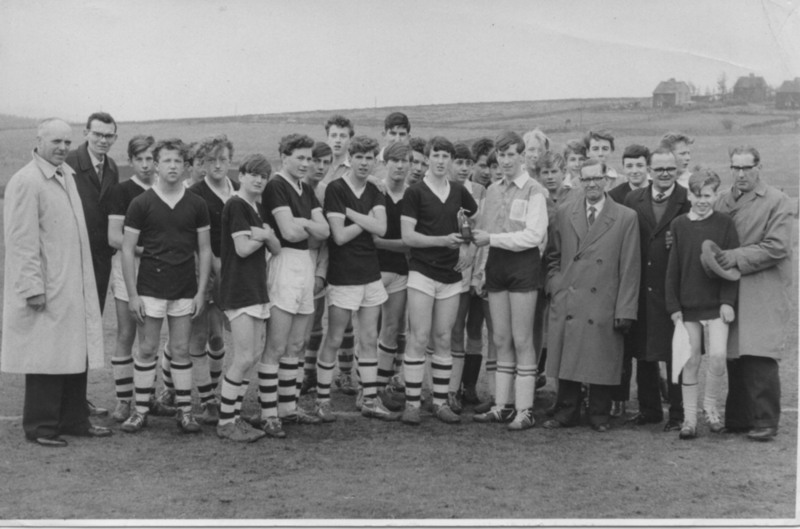 Thanking the major, Mr. W. H. Worth said their success was one which would be difficult to beat in any part of Britain. The United had always played the game in a sportsmanlike manner. In thanking the major, he must not forget to mention the names of Mr. R. D. Giles and Mr. H. Halfyard (secretary and treasurer) for their untiring services. Responding on behalf of the team, Mr. F. Clarke (capt.) 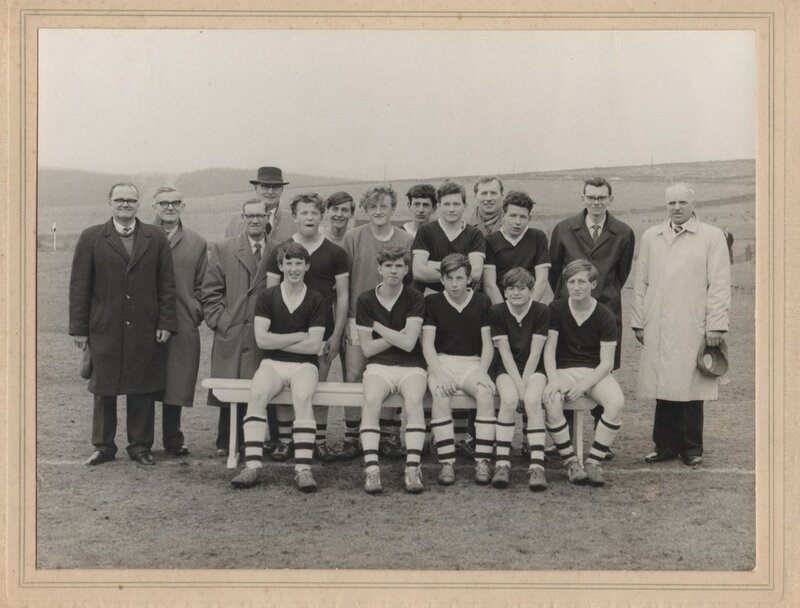 said they were all triers, and had strenuously worked for many seasons past, and now they were rewarded with success. He could assure them they would not rest on their laurels, but would strive to retain what they had won and to maintain their position and name in the League. 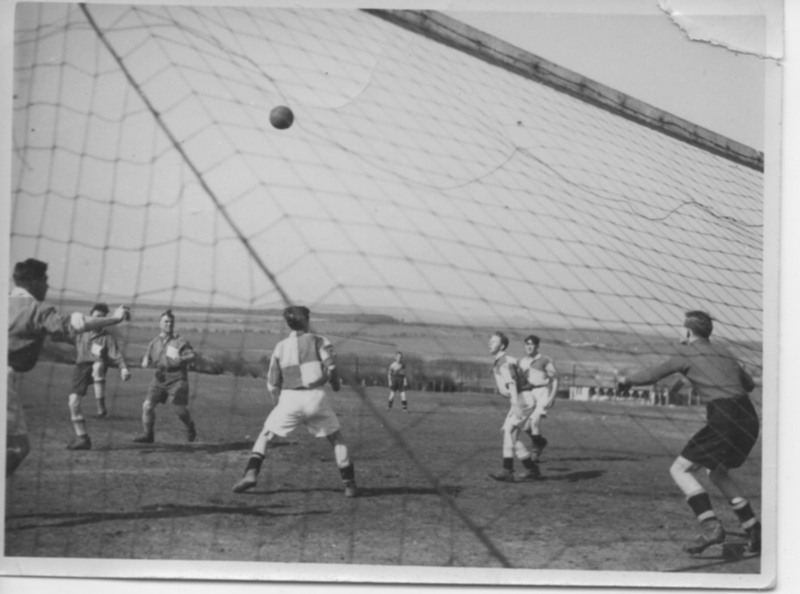 An unknown team playing a match at Princetown with the old Pavilion in the background. Image courtesy D. German. 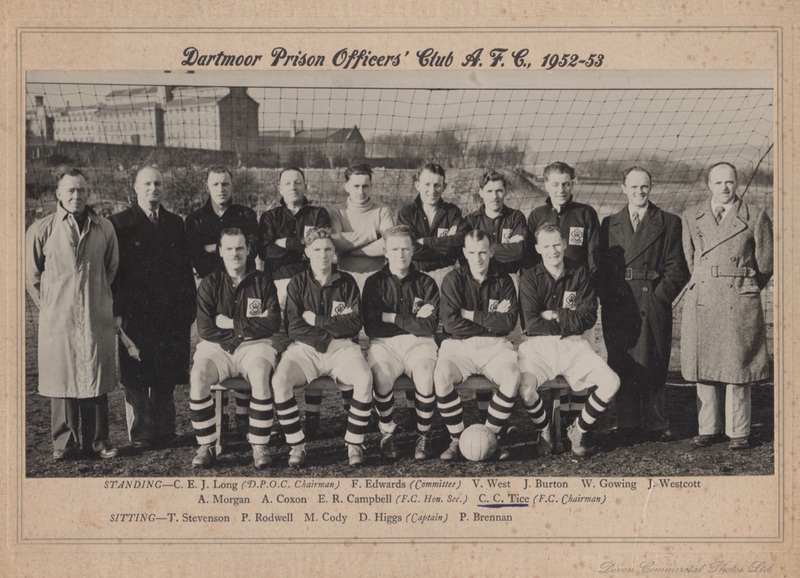 This also appears to be a picture of the 1951 team. Judging by the bobble hat being worn by the gentleman on the right and the bare tress in the background I surmise that this might be some kind of Christmas fixture. Image courtesy D. German. 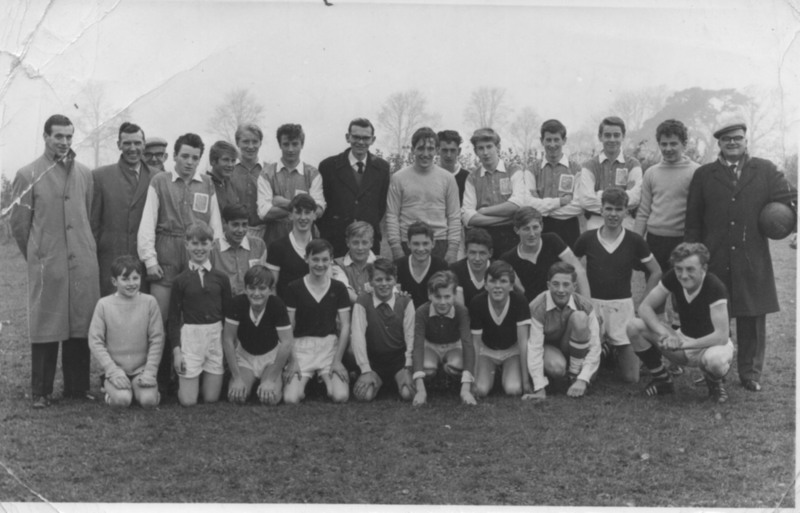 A Princetown team from approximately the same era. 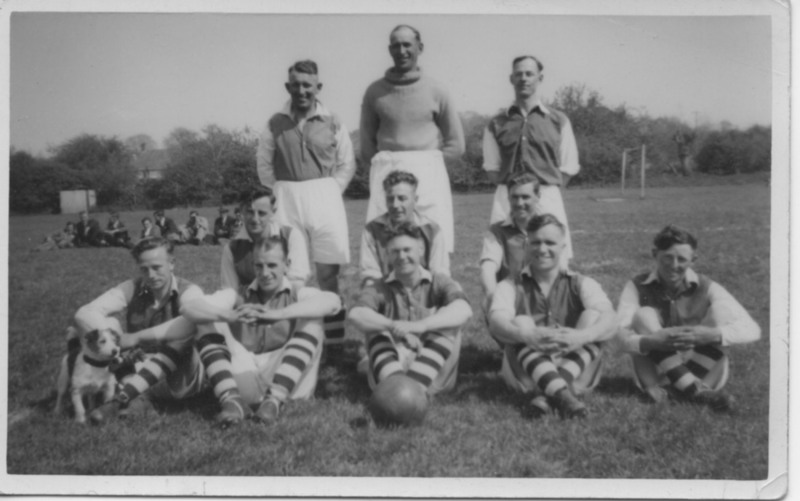 On the rear of this picture in written Yatton 1951-1952. Image courtesy D. German.